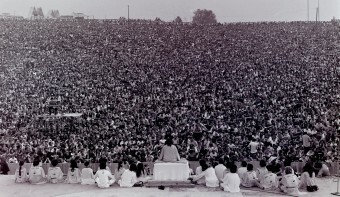 The Woodstock Music and Art Fair was held at Max Yasgur’s dairy farm in upstate New York over a period of four days beginning on August 15, 1969. It was rainy, chaotic, and proclaimed a disaster area by the U.S. government. Most of those in attendance say it was the most magical and unforgettable experience of their lives. This was a music festival that was about so much more than music. Ironically, Woodstock began as profit-making venture by two friends wanting to build a recording studio for musicians in rural upstate New York who were weary of working amid the hustle and bustle of Manhattan. They hooked up with two burgeoning entrepreneurs, and the four of them decided to hold a music festival to raise the money needed to cover their costs. From the very beginning, things began to go awry. The original venue slated for the festival fell through a month before the event because of problems with zoning laws, forcing the promoters to secure an alternate location, which turned out to be Max Yasgur’s farm in Bethel, N.Y.
As the date of the festival drew closer, it became uncertain whether the construction of the stage and the performer’s pavilion would get finished on time. They did, but the ticket booths and gates unfortunately did not. Another worrisome issue that cropped up was that the 50,000 concert goers estimated to attend was drastically low-balled. As Joni Mitchell’s song about the festival tells us, “by the time we got to Woodstock, we were half a million strong,” and this was enough to cause a traffic jam of epic proportions on the New York Thruway. 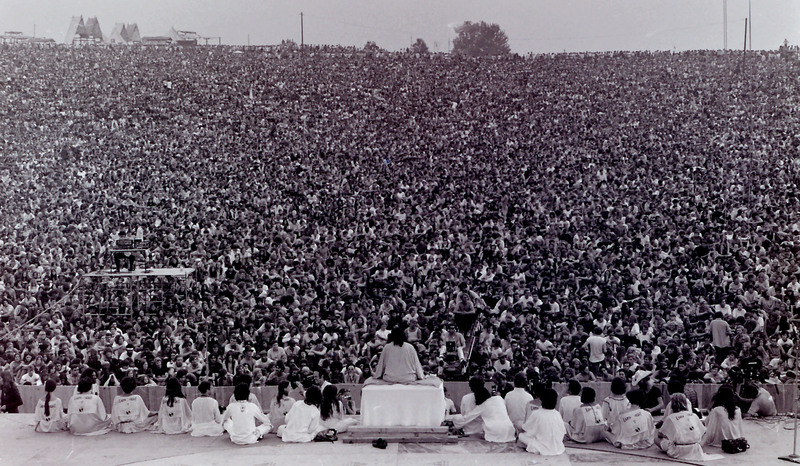 Once it became apparent that collecting tickets would be impossible and the organizers deemed Woodstock a free concert, it’s estimated that a million people attempted to make their way to Bethel, or about 1 in every 200 people in the United States at the time. It was sticky and humid. And then the rain came, turning everything into a slippery, dirty swampland. Concert-goers had to wait in line 30 minutes for water, and an hour to use the bathroom. Most people were under the influence of drugs and/or alcohol. And yet, there was very little trouble. Everyone at Woodstock seemed determined to prove to those in the establishment that people really could gather in large numbers and act peacefully. From August 15-18, 500,000 festival attendees enjoyed the music of such major artists including Joan Baez, The Grateful Dead, Janis Joplin, The Who, Creedence Clearwater Revival, Santana and Jimi Hendrix almost without incident and were part of history being made. But what did it become?